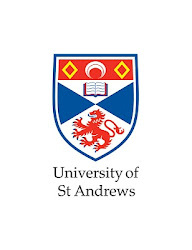 The Royal Society of Edinburgh has announced their Prize Winners for 2014 and the University of St Andrews is honoured to have received four! Sincere congratulations are in order to Professor Andrew Whiten FRSE FBA, Dr Katie Stevenson, Dr Per Ola Kristensson and Dr Catherine Cazin on their fantastic achievements. Senior Prize for Public Engagement to Professor Andrew Whiten FRSE FBA, Wardlaw Professor of Psychology and Professor of Evolutionary and Developmental Psychology, School of Psychology and Neurosciences, for his extensive, creative and unique forms of public engagement particularly as founding Director of the “Living Links to Human Evolution” Research Centre at Edinburgh Zoo. Thomas Reid Medal (Early Career Prize) to Dr Katie Stevenson, Senior Lecturer in Late Medieval History, School of History, for her outstanding scholarly work on the cultural and political history of late medieval Scotland which has established her as a leading international expert in the field and for her commitment to knowledge exchange. RSE/Makdougall Brisbane Medal (Early Career Prize) to Dr Per Ola Kristensson, Lecturer in Human Computer Interaction, School of Computer Science, for his outstanding research work and entrepreneurialism that intersects human-computer interaction, Artificial Intelligence and Machine Learning. Dr. Kristensson is also a Member of the RSE Young Academy of Scotland. RSE/Makdougall Brisbane Medal (Early Career Prize) to Dr Catherine Cazin, Royal Society University Research Fellow and Lecturer, School of Chemistry, for her outstanding research work and breadth and depth of experience in her chosen field of homogeneous catalysis. Dr. Cazin is also a Member of the RSE Young Academy of Scotland.